Q1. Which of the following three components comprise Cisco 802.1X authentication? Q2. Which 802.1X component is also known as the client? Q3. Which 802.1X component is the switch or router between the client and the AAA server? Q4. Which 802.1X component is also known as the AAA server? Q5. Which command adds a RADIUS server to an IOS device’s configuration? Q6. 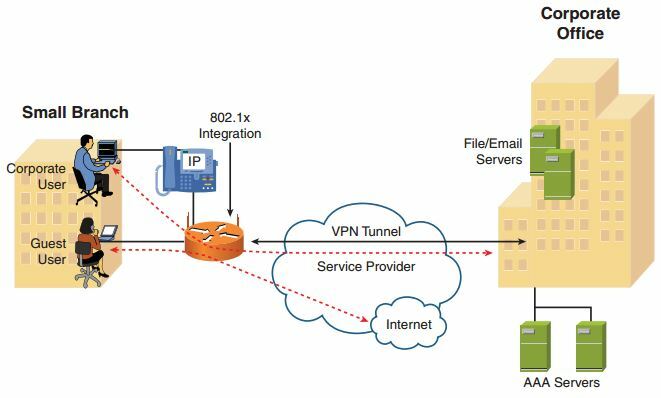 What UDP ports are used by Cisco as the default authentication and accounting ports? E. None of the answers are correct. Q7. What must the Shared Secret field on the Network Configuration screen in Cisco Secure ACS match? Q8. If the network between the supplicant and the AAA server is trusted, you can deploy user PAC files using which method? A. Manually by importing a PAC file into each client’s supplicant. B. Configure the switch to copy the PAC from its flash to the client. C. Push the PAC to the user from the Windows Server Active Directory store. Q9. What is the tool used to create the CSSC configuration profile? Q10. From where are the CSSC supplicant and the CSSC Management Utility obtained? Q11. _____ is an IEEE standard that provides a framework for authenticating and authorizing network devices connected to LAN ports and for preventing access in the event that the authentication fails. Q12. Configuring _____ causes a period verification to take place, thus ensuring that the client is still connected and the port should remain in the authenticated state. Q13. Enable 802.1X globally on the switch with the _____ global command. Q14. Verify the operational status of the 802.1X configuration on your device by using the _____ command. Q15. _____ can be used to restrict 802.1X users to only access the network from a certain network address space. Q16. The Cisco IOS Software _____ command can be used to verify that the 802.1X authentication is functioning properly.